I thought I would try my hand at: http://ceenphotography.com/cees-odd-ball-photo-challenge/. I wanted to do one of her other challenges, but have no photos that really work great for them this week. ( Have had a lot of camera woes for a time, so getting new photos was not an option.) Anyway, I have quite a few photos that fit an odd ball theme. 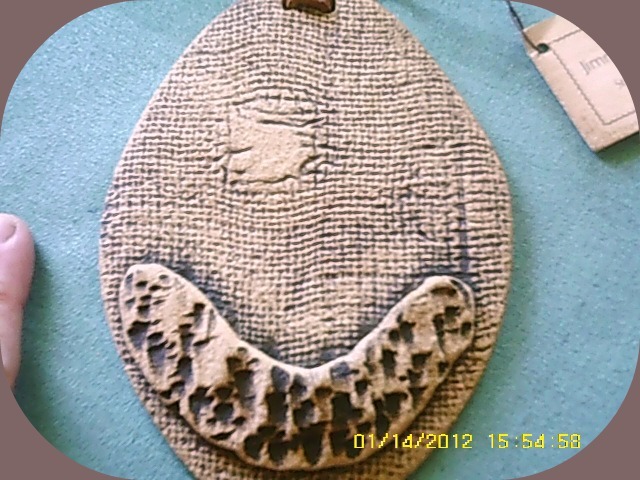 Plant pressed in stone vintage collectible with rawhide hanger. Really, i only took it because of the odd egg in the bunch. Bought these as brown eggs. 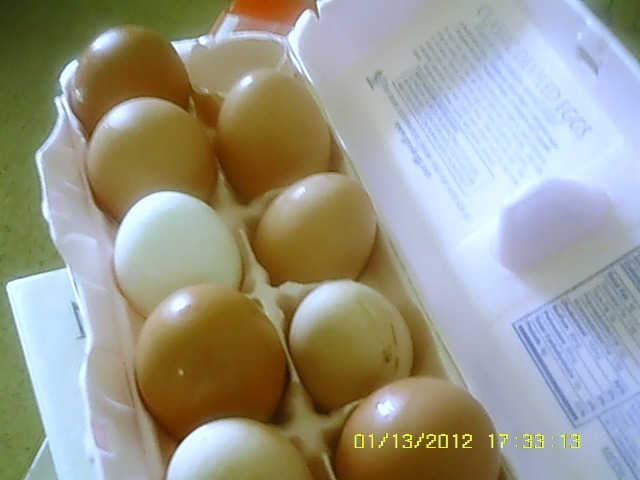 There was a couple light-brown eggs in the mix, but the one in the middle left row was super white. How that white egg slipped into the brown container is a mystery we may never know. And I do not ship eggs, neither brown or white. You must find them elsewhere.